Following the continued success of our Fewer Units campaign, we were commissioned to develop a campaign to appeal to a new target audience to encourage them to cut down their alcohol consumption. 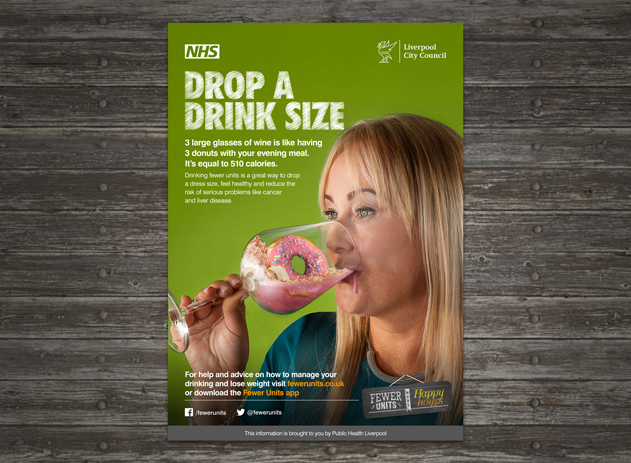 Insight and research conducted by Liverpool City Council suggested that their target groups were concerned with the large calorie aspect of drinking when it was presented to them. 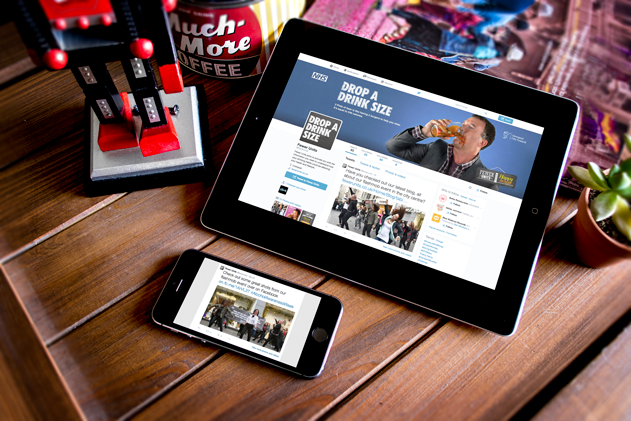 This provided us with a strong trigger that we could use to change the drinking habits of our audience. 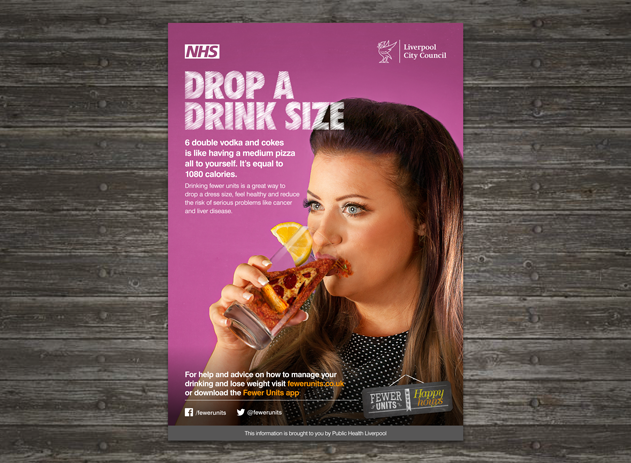 Our campaign dramatises this proposition by showing a clear comparison between things people generally perceive as unhealthy, like fast food and cakes, and the alcohol they might consume on a daily/nightly basis. 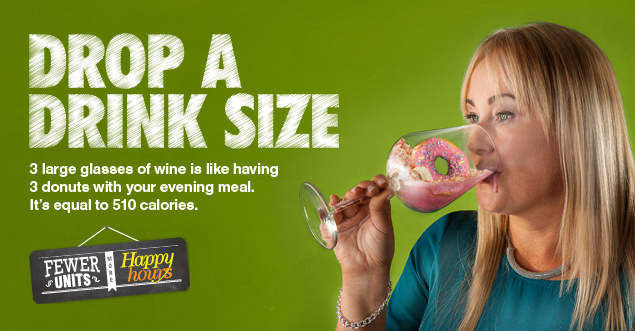 This makes the audience think about their drinking in a different way; many people avoid fatty foods and sugar because they’re unhealthy, and putting alcohol into this same category draws a persuasive and not very appealing parallel. 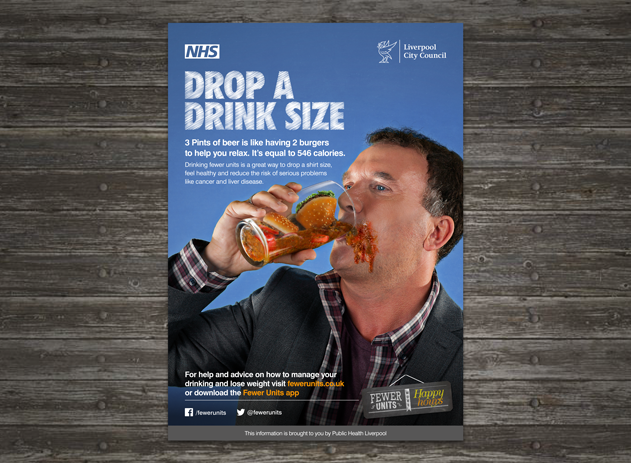 Our goal was to raise awareness of how drinking too much alcohol can negatively impact your health, not only due to the number of units, but the calorie content too. 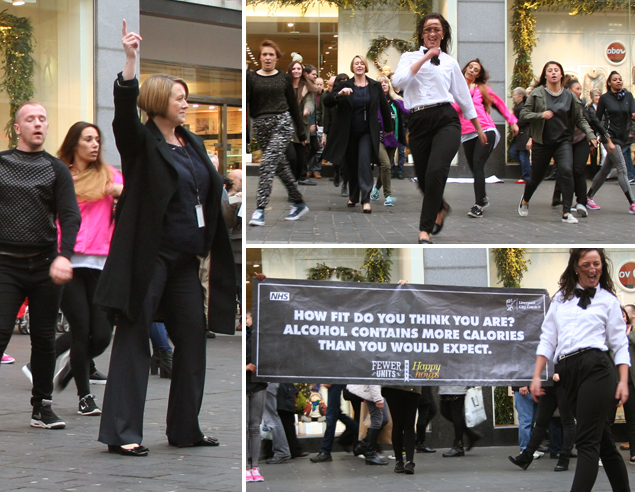 We launched the campaign with a high-energy flashmob that targeted people in the busy dinner time rush on a Monday. Our choreographed dance routine brought Liverpool’s bustling Church Street to a standstill, attracting a crowd of captivated and entertained on-lookers. 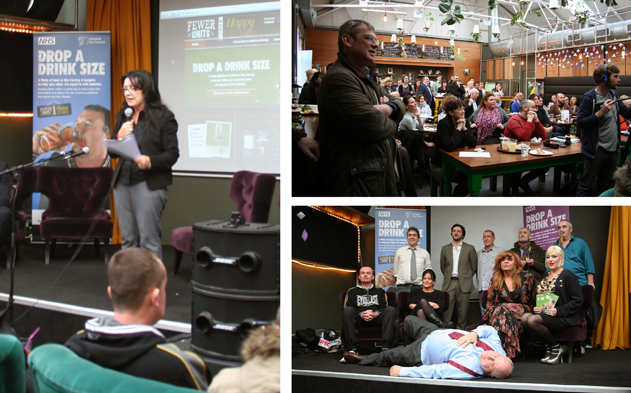 The flashmob was then followed by an event in a fully packed Brink Bar (which is an alcohol free bar) in Liverpool, which consisted of a play by theatre group Art & Soul, and guest speakers, all of which was organised by the Brave team. Following on from these events we produced a variety of online and offline materials to support the campaign and encourage Liverpudlians to enjoy a drier January. 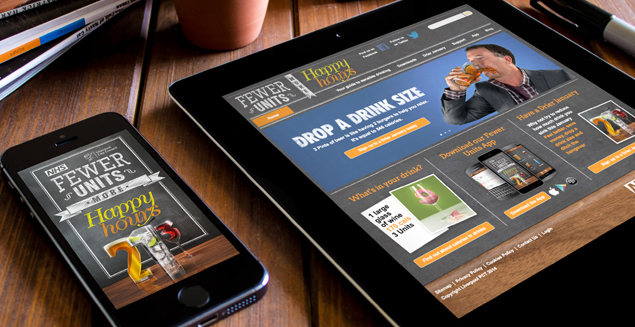 If you’d like to know more about the campaign and find out more about managing your alcohol consumption visit fewerunits.com or follow us on social media @fewerunits, /fewerunits.